Hopefully this guide can help you if you are out sourcing or maybe just having a clear out of your own. Either way don’t dismiss “old and tatty” shoes or trainers. Chances are if they are a quality brand then they will clean up well and sell for a nice profit. I always keep an eye out but there are some brands that I especially like to buy. 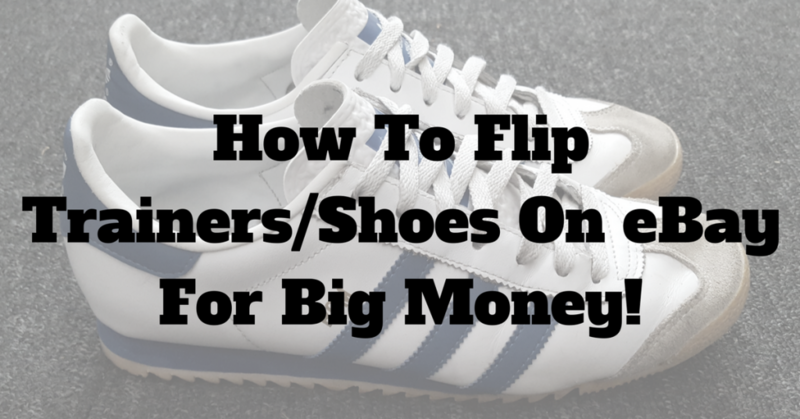 Lets dive in to this post and hopefully you can take something from it and start to sell some shoes of your own! A quick couple of shout outs before we begin. I would like to thank the UK Reselling Group on Facebook, a massive wealth of knowledge here and without this group I would not be selling half of the things I sell today. Another shout out is to a chap who goes by the name of Joe Pennies – you can check out his YouTube channel here. I highly recommend subscribing in if reselling is your thing. He has been a huge influence especially in the world of trainers! What Brands of Trainers / Shoes To Look For? Most charity shops and car boot sales will have an abundance of crap shoe brands that are not worth picking up. But more often than not they will have brands that are worth a second look. Here are my personal favourite brands that I always look out for and have previously sold. Probably nothing really surprising on that list really is there? But most of these are actually quite common depending on where you source. I hardly source anywhere outside of my main village and I pick up at least 4 or 5 pairs from this list of brands each month. 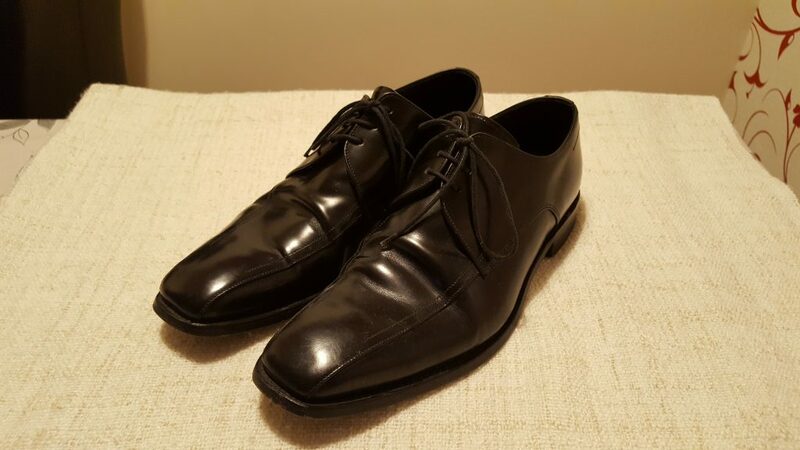 Not much I know but later I will show you one pair from this brand that sold for £120 – used! You can obviously do a completed listing search on eBay and you will get a load more ideas of brands that sell well. This will give you plenty of results. Change the search term from “trainers” to “shoes, women’s shoes, men’s shoes,” and see what different results it throws up. Then add the filters I have suggested above. Out of the brand list above my personal top 3 are Adidas, Nike and Converse. I have had loads of pairs of these 3 brands and they ALL sell well all year round. My biggest trainer sale to date was a pair of Hadaway Foamposite Nike Basketball boots. They were in amazing condition and I paid £10 for them. There were no listings on eBay at the time but I knew from researching on other sites that these were rare. About 3 weeks after listings I made the sale of £120 and the buyer paid straight away and was very happy with his purchase. Not a bad return at all…. The great thing about Nike and Adidas is that they usually have an ID number under the tongue or inside the shoe. 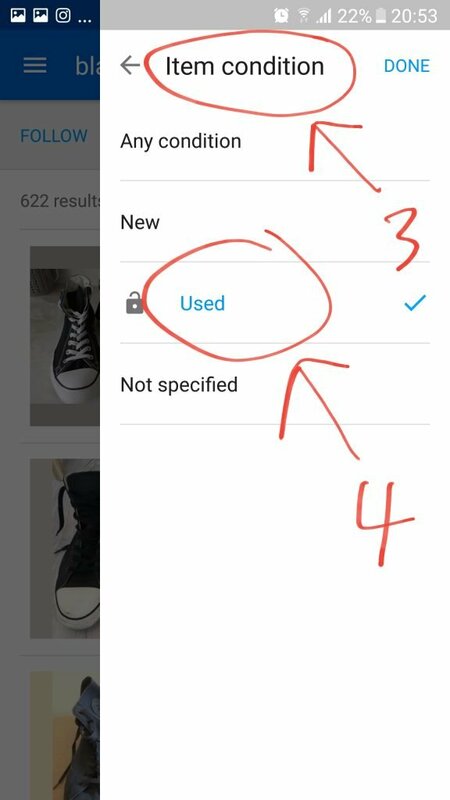 You can simply type “Brand + ID number” into Google and you will find the exact design and name of the shoe. This helps when listing and researching. People will often pay a premium for “dead” stock (designs that are no longer made) – again, this is a reason I like these brands in particular as they have collectors that want these designs. 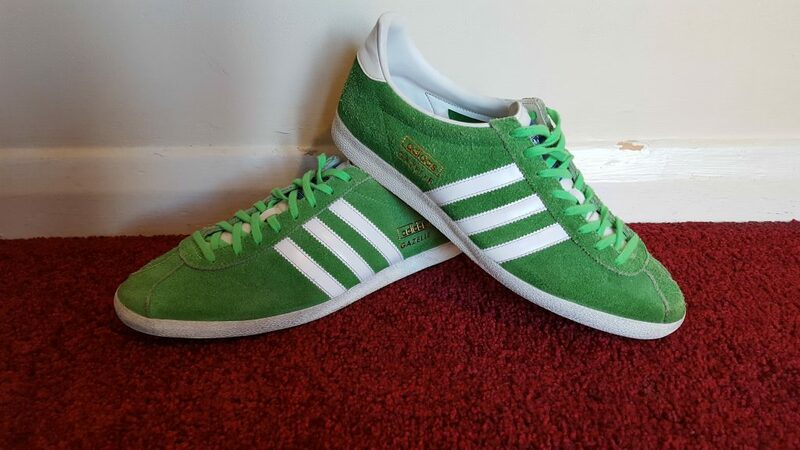 Below are two Adidas sales from dead stock designs. These were both under a fiver each so just these 3 sales alone brought me in over £200 for under £20 investment. What Markings And Numbers Can Help You? As I mentioned above, the top trainer brands will have ID numbers inside the shoe. Often under the tongue on the label. 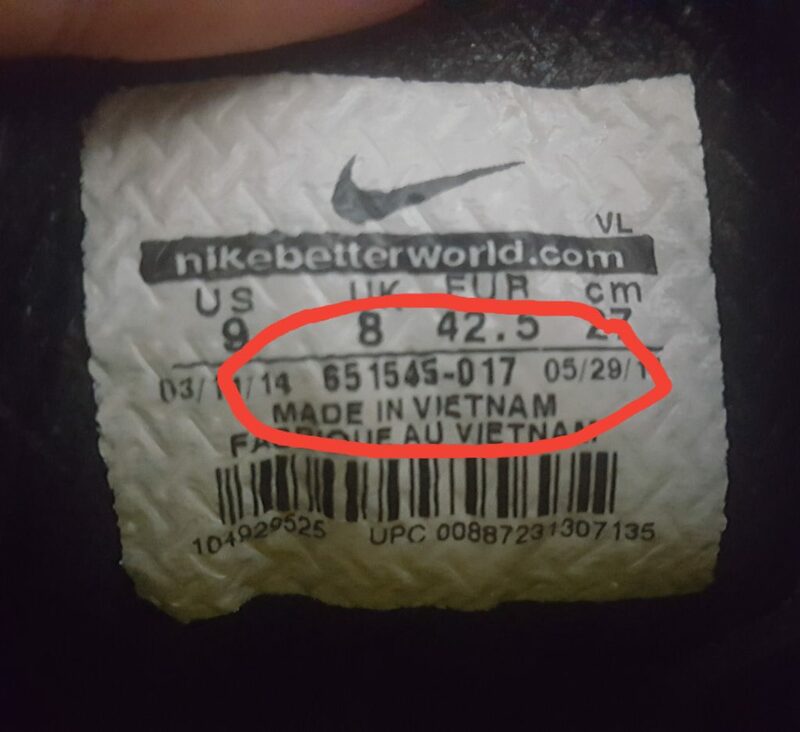 Nike for example have a design ID number on the label of the shoe. Below is an example. So if I was to type into Google “NIKE 651545-017” you would get the results on the shoe. This will give you the name of the shoe which is again useful for pricing and listing yours. Other brands such as Adidas also have a similar number system. Some shoes the markings are on the inside. More formal shoes such as Loake for example have the makings inside on the sides. This is usually where the size is located too as is the style of shoe. These McQueen Loakes I sold had the name inside as with the size and width which was identified with a letter. What Conditions To Avoid And Look For? 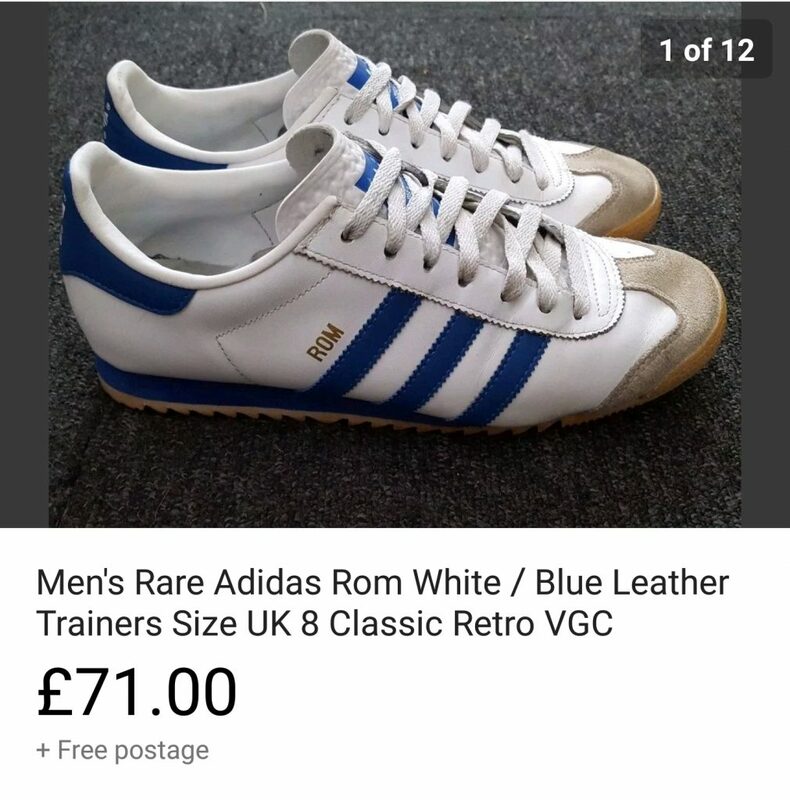 Condition is really important when it comes to selling used shoes on eBay. Dirt does not matter – that can be cleaned but any holes or tears in the canvas etc should be avoided all together. You want to sell a wearable shoe that your customers can appreciate so make sure they are in good condition. 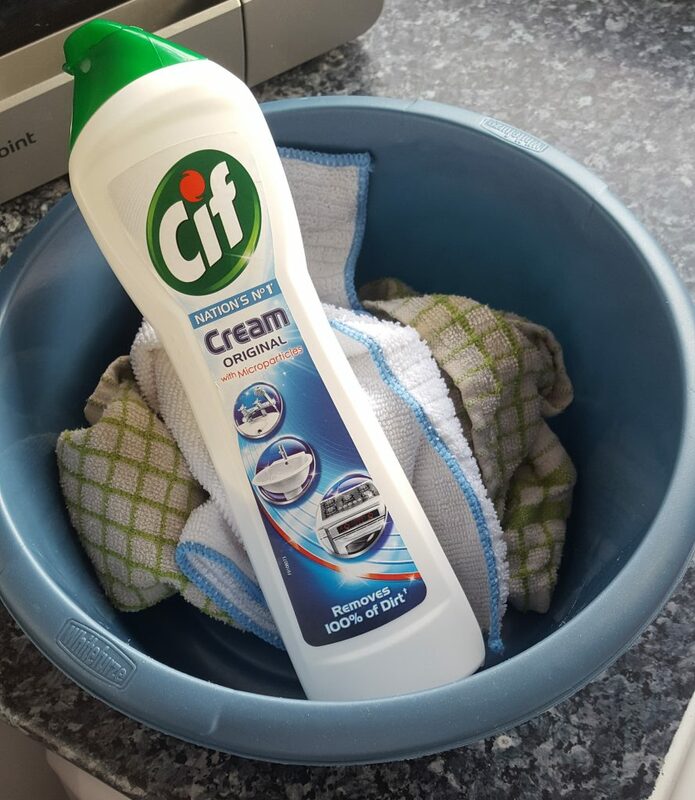 As I mentioned don’t be put off if they are not clean. I have picked up some really bad looking pairs of shoes and especially football boots over the last few months but with a bit of elbow crease and some Cif they come up great! Some pairs, like Converse etc also do really well after a low temp wash in the washing machine. These converse below were in a really bad state (dirt) when I bought them. They were only on sale for a £1. But after a few minutes with a cloth and some Cif the rubber rims on these came up like new! Other than that, good old soapy water and a cloth will do the trick with most. People have their own preferences with this but I will tell you how I pack my used sold trainers. (New usually have a box so we wont go into that). All I do is wrap the shoes in bubble wrap then put them into a poly mailer. Do yourself a favour and invest in a bundle of 12 x 16 poly mailers from eBay and pop them into your packaging supplies. You will use them. You can grab a pack of 20 or so for under a fiver usually. I like to keep my packaging simple but effective. You may remember I also recommended these poly mailers in the How To Sell Ties For Profit post. 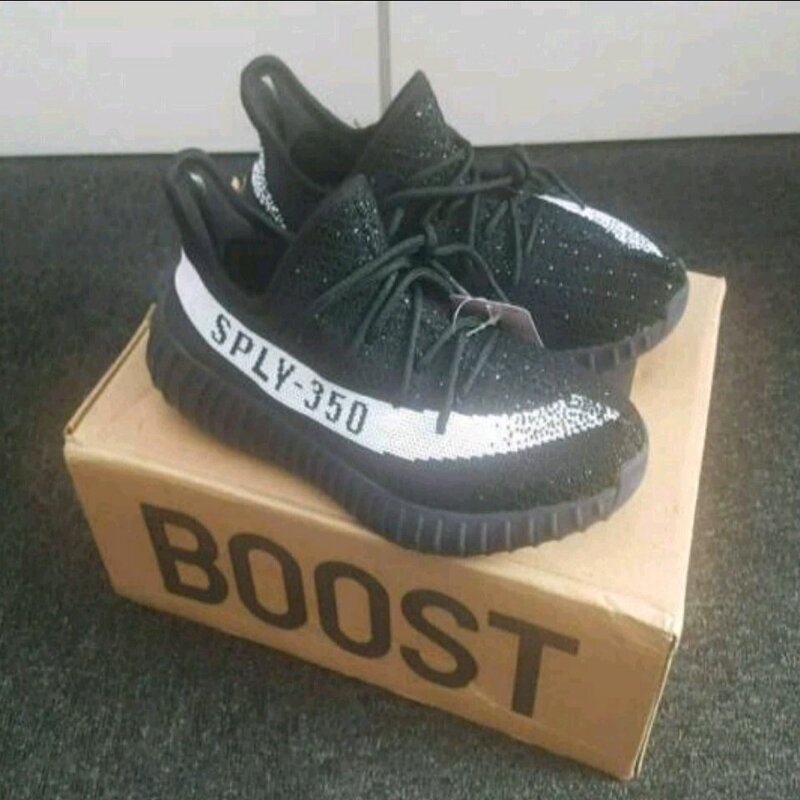 Its becoming increasingly harder now to spot fakes as the “fake market” is getting so damn good at the copies. I recently won a pair of Adidas Yeezy Boost 350’s at a local auction near me. I thought i had hit the jackpot as the I won the lot for £22. 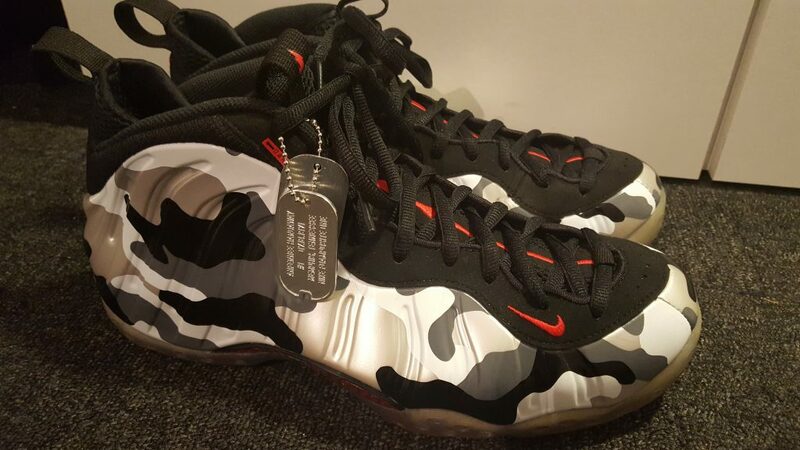 These retail for hundreds and there were pairs on eBay going for around the £450 mark. They were brand new in a box with tags and everything. They had the Adidas logo and everything looked 100% genuine. But something about them seemed too good to be true, and I was unfortunately right. The letters SPLY-350 were the wrong way around and should mirror the other way. So – lesson learned. I always say act with caution. Most of the time you will be ok but every now and again you may get caught out. There are plenty of YouTube videos explaining how to spot fakes etc but be warned it is becoming increasingly more difficult to spot them! This is why I tend to stick with a handful of brands that I am familiar with. As I get more confident I will take a few more risks on some other brands. Often though it tends to come down to a few things like the stitching seems lower quality, the label is not present with the ID number or maybe the colour doesn’t seem right. The trouble is in order to check you need a pair of the real deal shoes to compare, you won’t have this luxury of course. You just have to go with your gut instinct and as you become more familiar with them over time you will have an eye for the fakes. 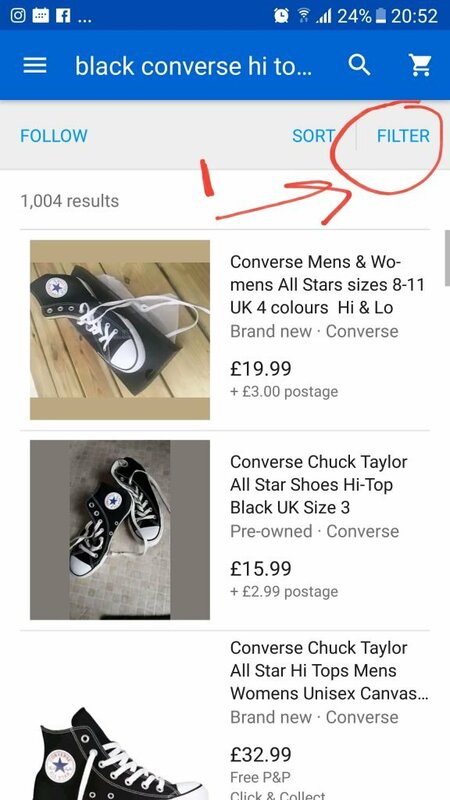 So there we have it, this is my blog post guide about selling used trainers and shoes on eBay. The 3 main things to take away from this is quality, research and margins. Essentially the same 3 points you should make when buying anything to sell for profit. Quality: Don’t buy trainers or shoes if they are falling apart, goes without saying really but the last thing you want is unhappy customers. The odd scuff here and there is ok and as a rule of thumb if the tread on the soles is ok then you should be good to go. Dirt can always be cleaned remember no matter bad it looks. Research: If you are in doubt as to whether they will sell or not or whether its even worth your time check the completed listings on eBay. Use as much information as you have like the colour, ID numbers, brands, sizes etc when doing your search. Within a few seconds you will be able to see if they are worth your while or not. Then once you have sold a few brands you will start to pick up pairs without even looking on eBay. 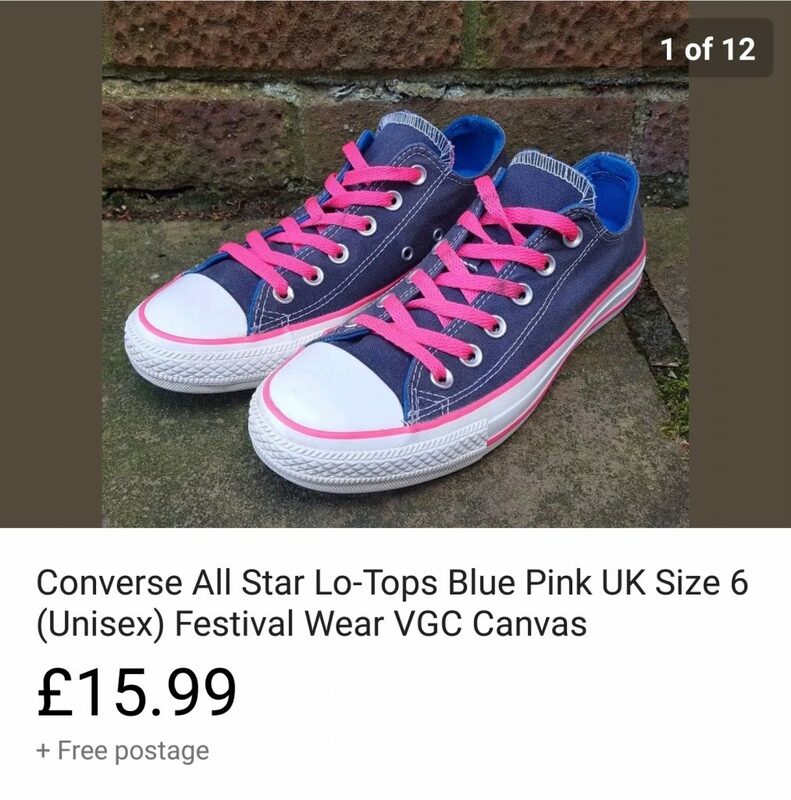 Margins: Its no good paying £10 for a pair only to sell them on for £15 with free postage, this is not worth your time in my view. I aim for at least £10 profit per pair and this is my absolute minimum. Sometimes it may creep lower if its a slow seller so I have to lower the price but usually I get much higher returns. A common return for me is around £15 – £30 profit I would say on average. 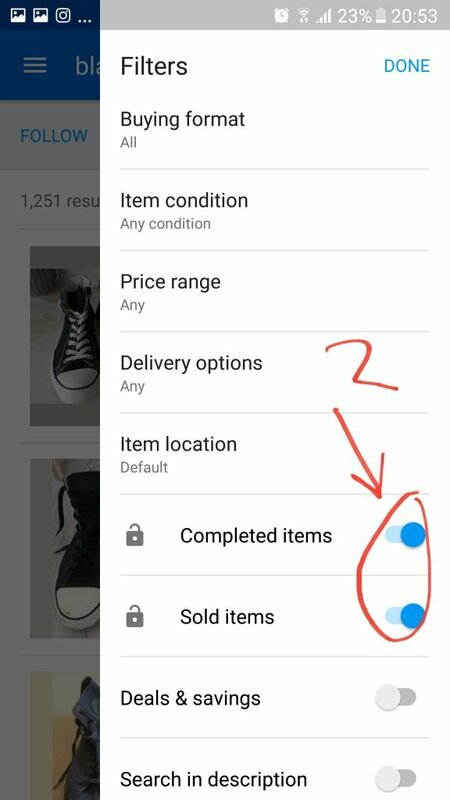 Again, you can use the completed listings search function on eBay to check your potential profits here. 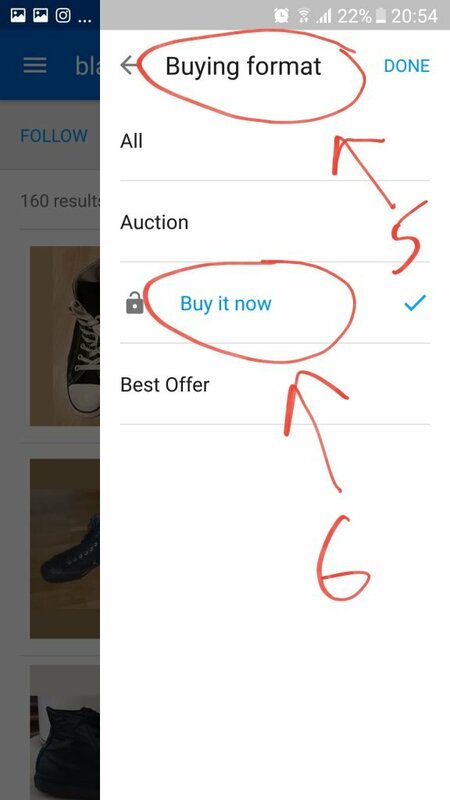 For those of you unfamiliar with how to do a completed listings search on eBay here is a screen grab of the settings you will need to use. (From the mobile app). Here I have entered the search term “black converse hi tops”. Now its your turn! Go out and start flipping used trainers on eBay. I would say even a conservative shoe and trainers flipper could add a nice £200 a month to their income streams. Good Luck! 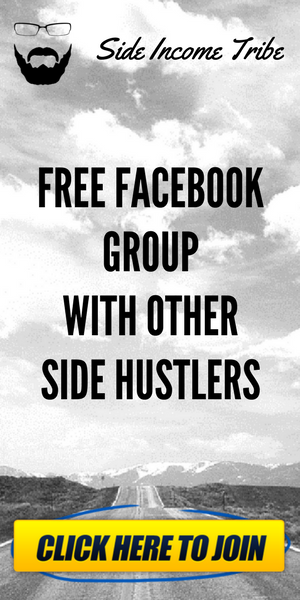 If you want to join in with other side hustlers like yourself then I have created a free Facebook group. I would love to have you there! You can join via the banner below! See you on the inside and good luck with the shoe flips! 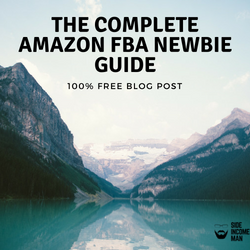 Next Next post: How To Get Started With Amazon FBA And Send Your First Box In! Great article, very informative. I don’t sell loads of men’s shoes, but I picked up an immaculate pair of Paul Smith men’s shoes earlier this week for £2 in a CS. 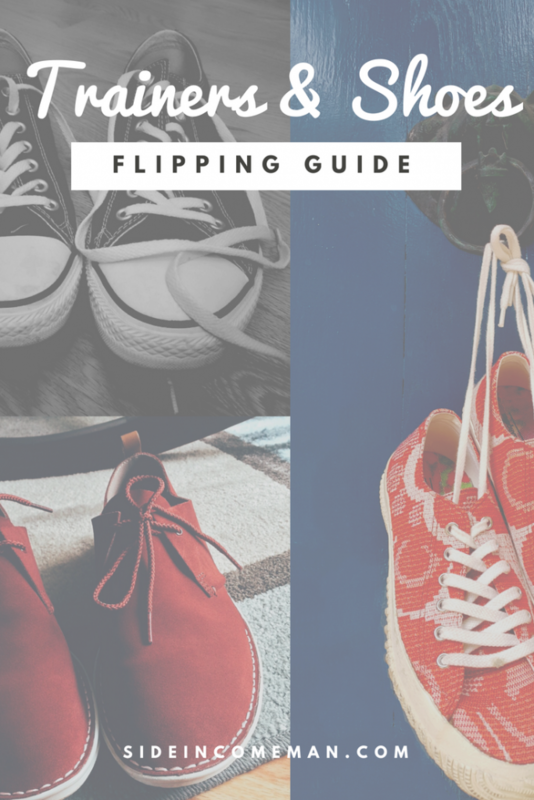 Interestingly, I’m halfway through writing a very similar post about ladies shoes over on Find It Flip It! Hi Caroline – Thank you for stopping by. I really appreciate it!